and also including telephone service! The most modern way to establish a company location in Eschborn, Germany, and Europe - Virtual Office! Do you really need to rent an office? With Virtual Office from Azenio in Eschborn you can establish your location as a virtual office, favorable and at short notice. 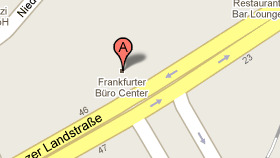 Virtual office includes business address, local telephone and a fax number in Eschborn. From tomorrow on, we will accept your telephone calls, answer all calls in your company's name and represent your company according to your instructions; we will send your faxes with your own sender information and forward your mail according to your instructions. We can also forward the mail, which was sent to your new address, as a scanned document to your e-mail address. 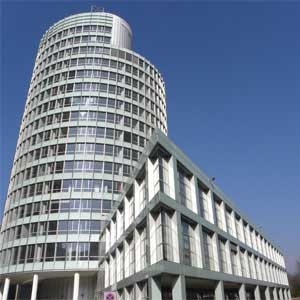 Your Virtual Office is part of the Azenio Business Center in Eschborn. Here you can meet your customers at your virtual office address in your "own" office, arrange a meeting in "your" conference room and delegate tasks to "your" secretaries. Azenio enables you to build up the complete infrastructure of a major company location at your address with minimal effort.